I am starting to drive myself a little bit mad thinking about how I'd like to have a leather purse for fall -- this pursuit of mine is endless! How many bags does one person truly need? How much fringe, how many studs? I do love the Annie bag from Etsy seller renneslechateau. 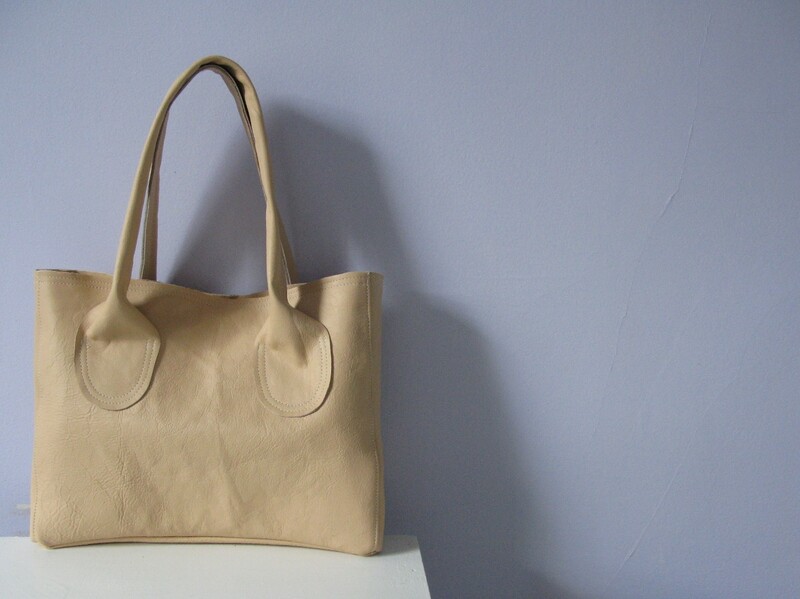 The leather she uses comes in such beautiful colours and buttery textures. Oh, and Julia has a lovely blog, too. 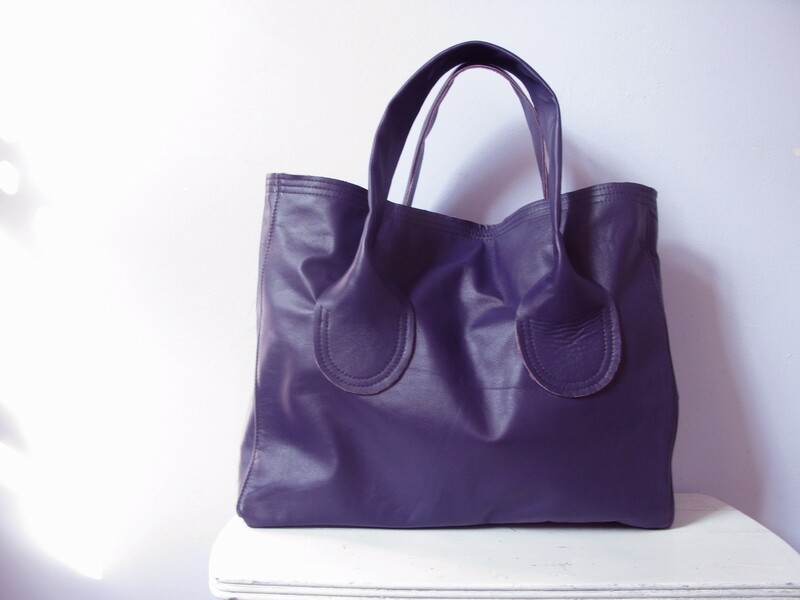 I am particularly interested in bags made from recycled leather: please tell me about your favourites! The ones you've posted are gorgeous! Jane: I love Ashley Watson too! I especially like that I can't identify what piece of clothing her leather came from, you know? Chad: An endorsement from you is really the best I can get! I'll start scraping together my pennies. i love love love how simple these are. ps. i got to see one of ashley watson's bags in real life the other day and it was pretty gorgeous. 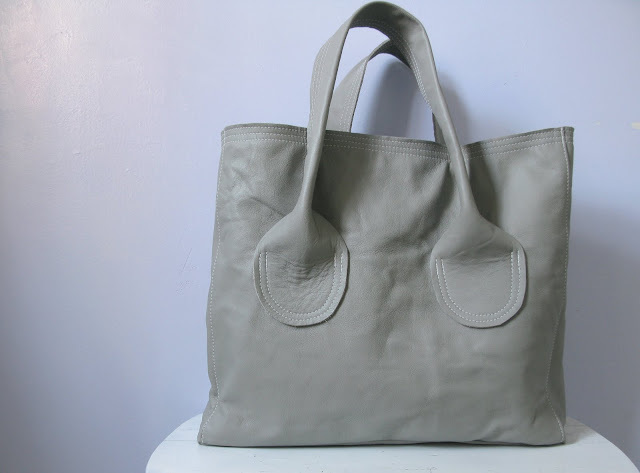 I love Erin Templeton's bags (http://www.erintempleton.com/bags/tcb-tote). She is Canadian and uses recycled leather. Thanks for the leather bag love, ladies! Mon Ami: I love Erin Templeton bags too! Investment pieces for sure. I've been eyeing her bags for a long time. I love the purple one! I'm in love with Clare Vivier's bags these days: http://seevivier.com/. I bought La Tropezienne this summer and am hooked! Oh Lois, that bag is amazing!